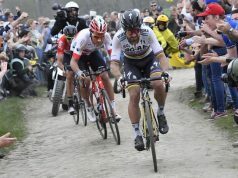 This year’s Gent-Wevelgem saw the peloton battling crosswinds and was without a doubt one of the most exciting days of racing the 2019 season has delivered. The sustained pace throughout the day was simply brutal. 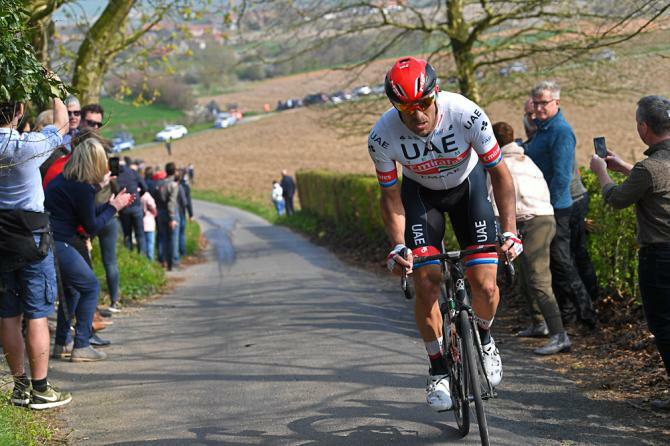 When Alexandre Kristoff (UAE Team Emirates) crossed the finish line, the race’s average speed was at an astonishing 46.27 km/h. The Norwegian hit an incredible 1,432 watts and 61.9km/h in the final sprint to win! Kristoff averaged 345 watts for the entire five hours and 26 minutes of racing including a 10km period off the front on his own. 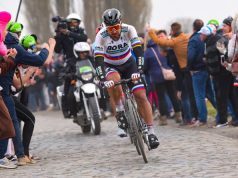 Peter Sagan produced a strong effort averaging 310 watts for the first 200 km of the race. Other incredible numbers from the rade include the 637 watts Wout Van Aert produced on the first ascent of the Kemmelberg’s main 300 m section. Maybe more impressive than all of these figures was the ride of young rider Quinn Simmons. 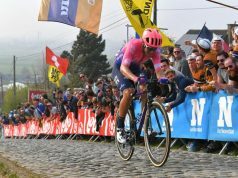 The 17-year-old American won the junior Gent-Wevelgem and in the process was the sixth fastest rider to climb the Kemmelberg in three minutes 51 seconds. 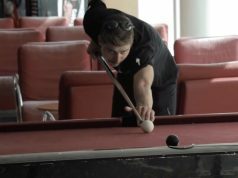 Only one second slower than Wout Van Aert and five seconds quicker than Greg van Avermaet.